Graphics play a prominent role in digital business. Often, your images and videos convey convincingly when the text fails to connect with the audience. As they say, the first impression is the last impression. The way you present and communicate your brand to the audience for the first time matters a lot. An excellent first impression translates to a positive client relationship and business growth for your company. Graphic designs play a very crucial part in making or breaking your brand. A customer visiting your website may not connect with your content, but he may be redirected by having a look at your images and videos. Your company website should have visuals which are highly creative and attract your audience towards it. The images should speak for itself and arouse curiosity in the site visitors. It should engage them to stay on your site and browse long enough until they’ve understood the essence of your brand. When you hire freelance web designers, they help your brand to stand out from the crowd. They create stunning and compelling visual contents which pull the audience towards your site with the intention of converting them into your clients and brand evangelists. Creating visual graphics is not a simple task, and not everyone is cut out for the job. Graphic designers are specialized experts who have the perfect blend of creativity, analytical and communication skills. They use professional tools exclusive for their job to create stunning visual contents. The most preferred professional tools in a graphic designer’s toolkit are Photoshop, ImageReady, After Effects, Animaker, Animoto, Movie Maker, etc. Graphic designers create various kinds of content ranging from storytelling, inspirational images, live videos, product demos and so on. They give wings to their imagination and transforms it into visual content based on animations, 2d, 3d, text-based, image-based, etc. These images can be in different formats such as png, jpg, jpeg, etc. Videos can be in various formats such as mp4, avi, mov etc. Should you hire freelance web designers? 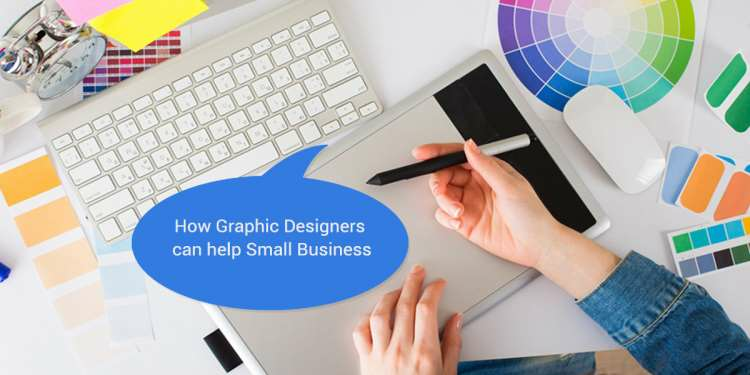 Independent graphic designers who join freelancing websites are often highly intelligent and specialized experts who have an ardent passion for design. With our experience in this industry, we can vouch for the fact that you will never feel like the work that you sourced from freelance web designers is not good-to-go. The chances are most likely that you will be bowled over by their creative ingenuity and exceptional quality output. The freelance web designers will be there to help you in building your brand at every step in the journey. Graphic designers are a key resource in your organization. All organizations should have at least a graphic designer on the team. They can also easily hire freelance web designers who can deliver exceptional visuals. We hope you enjoyed the article! Have your hired graphic designers and have they been beneficial to your company or not? We would love to know your comments. Also, We unlock more solutions that will help you build a formidable high-performance workforce that helps your business achieve long-term stability and revenues. To read more, download our FREE eBook. Vulpith is one such platform where you will be able to get best of the freelance work online. Get your freelance work done from home. We are one of the top freelancing sites and outsourcing platforms where we bridge the gap between freelancers and clients. Join Vulpith and be a freelancer or hire freelancers. Vulpith is one of the best freelance websites where startups, small businesses, and other corporate businesses can easily hire freelancers online and can get their work done from home. Let the graphic designers help you out with your brand impression.